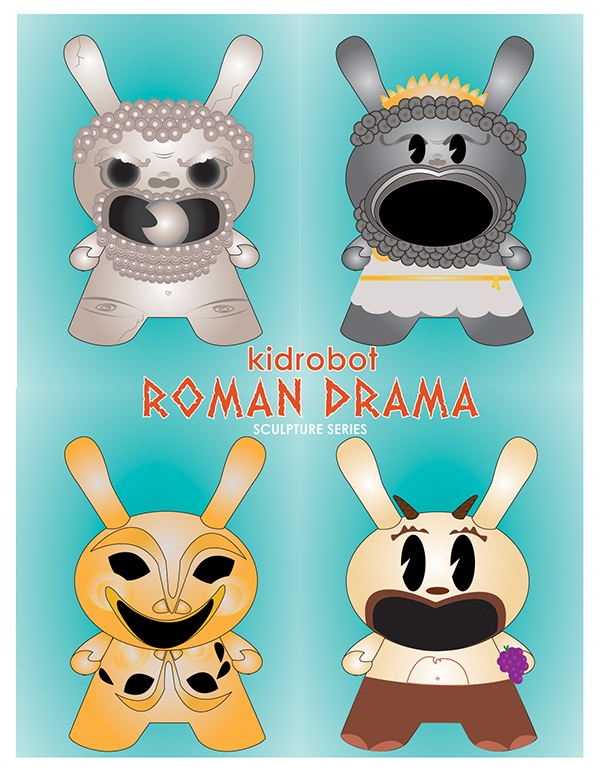 Kidrobot is the creator of unique toys, apparel, accessories, and many other products. They collaborate with some of the most talented artists and designers around the world. 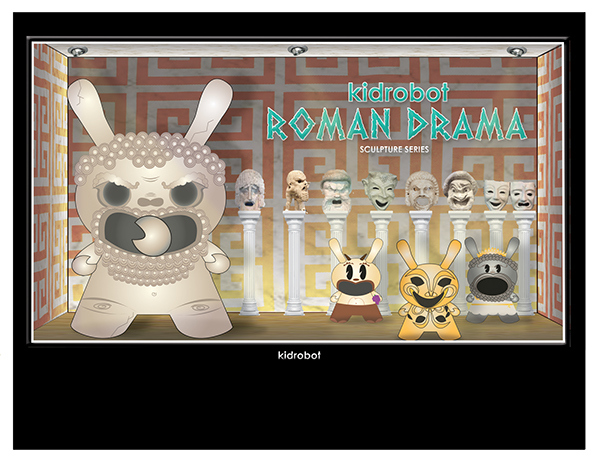 Many people view Kidrobot toys as works of art and collect them for their own private art collections. Kidrobot products are usually priced from five dollars to twenty-five thousand dollars, but just like any other work of art people appreciate the value over time. In this collection they will be shifting their focus from current pop artists toward artists from the past. Appealing to international markets, they will be going back to the Classical World, which laid out the basic fundamentals for today’s artists. The Roman theatrical scene of the Classical World will inspire their new collection. This collection was sparked by the marble statue Satyr with a Theater Mask, which was restored by Alessandro Algardi and previously part of the Ludovisi collection in Rome.